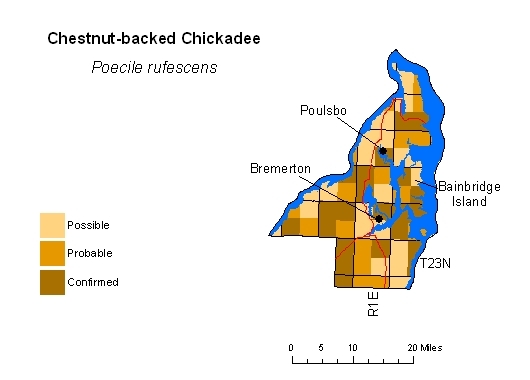 Common throughout Kitsap, Island, and King Counties in forested, rural, and suburban habitats, as well as in city parks and neighborhoods with mature conifer stands; scarce or absent in heavily developed urban areas. In Kittitas County, common above ponderosa pine zone in relatively moist coniferous forests at middle to high elevations in Cascades and Wenatchee Mountains, although uncommon and local east of Blewett Pass. 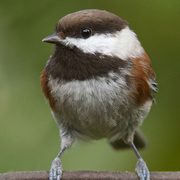 Linked to coniferous habitat; declines as Black-capped Chickadee increases when conversion to hardwoods occurs.